I am a wine-maker, but I love my beer. For the last three months I have been living in Germany and have taken advantage of this time to travel around the western side of the country and neighbouring Belgium, and have sampled many varieties of German and Belgian beer. Upon hearing that London was about to host Craft Beer Rising in the old Truman Brewery on Brick Lane, I packed up my car and headed west. 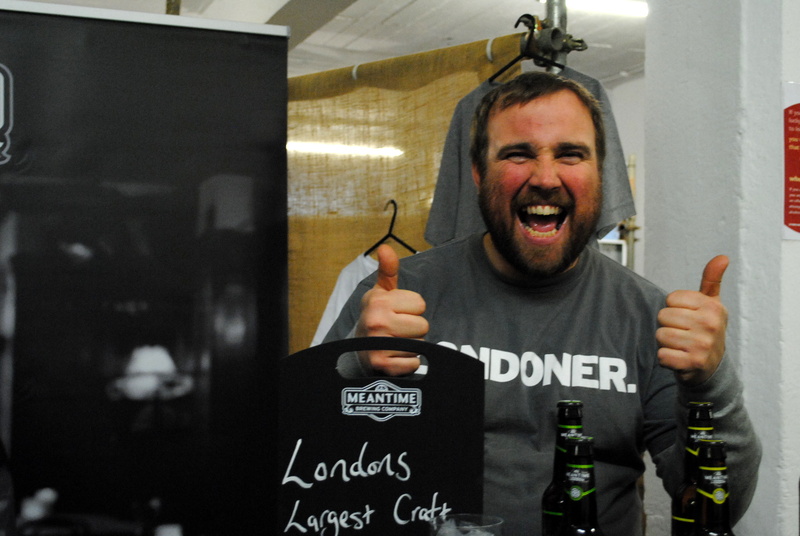 The event itself was a busy fair of enthusiasm and exchange; the vibe was friendly and casual and provided me with a great opportunity to try many a new beer, to get to know some of its producers, and to hear about their passion for their craft. A mirror of the wine world that I know so well, the beer world also has its producers, writers, geeks and enthusiasts. I overheard a conversation between two passionate brewers discussing the production of Gose, a variety of beer local to Leipzig, Germany, in which ale-style yeasts are used in the brewing process. Had you replaced the words “grapes” for “malt” in their conversation, I could well have been overhearing a chat between two wine-makers. I had no idea the beer world was a parallel universe! Having arrived at Brick Lane with a novice understanding of the production of beer, it was a tremendous learning experience for me. Who knew there were so many varieties of hops? 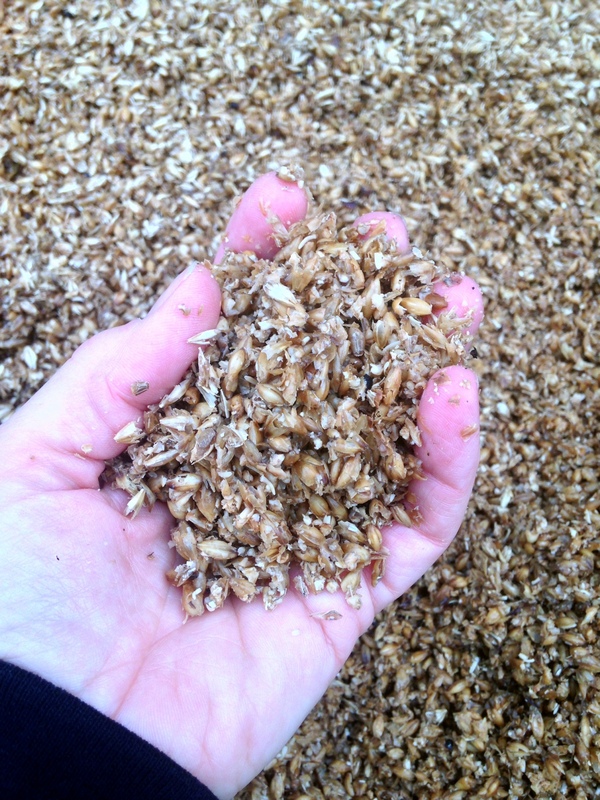 Malted barley may be the base for this beverage but the hops seem to be revered as the magic ingredient. The brewers use hops the way an artist would use paint on a canvass, blending different quantities and varieties to get the outcome they desire in the flavours of their beer. 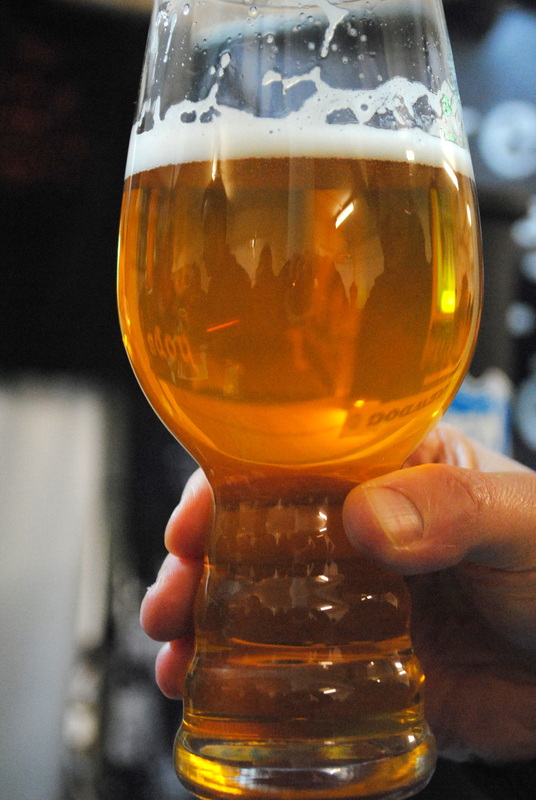 It was eye-opening to compare the likes of Nelson Sauvin, a New Zealand hop that introduces the fresh citrus flavours in Meantime’s Nelson Sauvin Cask Ale to beers made with Cobb, a Kentish hop variety used to make Curious Brew IPA. Being a huge fan of Belgian beer, I was very happy to meet Stuart Howe of Sharp’s Brewery, who makes tremendous Belgian-style beer, my favourite being the Sharp’s Honey Spice, a Tripel style with an abundance of honey, clove and citrus flavours. I also met Dominic Driscoll of Thornbridge Brewery, a young, enthusiastic brewer who took the time to answer all of my many questions, and finally Ian Bearpark who oversees the production of the likes of the refreshingly citrusy pale ale, Crafty Dan. My next stop was the Heriot Watt table, one of the only schools that offers a post-graduate program in both distillation and brewing. One of their PhD students, Abhi Banik, who has also been teaching distillation there for six years, kindly took the time to tell me all about the school’s educational opportunities, as well as answering a few questions on the various hops they had on the table to touch and smell. Enzymes are bio-chemicals that catalyse reactions. Without them, life as we know it would not exist, or in some instances just be very, very, slow. Wine is technically the enzymatic transformation of grape juice. In wine making enzymes are important processing tools originating in the grape, yeast and a plethora of other microbes. It is the winemaker’s ability to predict and control the outcome of thousands of enzymatic reactions that produces a quality wine. In this brief snippet of the wine-enzyme world, the addition of commercially formulated enzymes will be reviewed, whilst avoiding as much jargon as possible. Commercial enzymes were first used in winemaking during the 1970’s following steps made by fruit juice manufacturers to utilise pectinases for improved clarification and yield. Commercial enzymes have been developed from a range of fungi genera including Aspergillus, Rhizopusand Trichoderma. The OIV (International Organisation of Vine & Wine) governs the methods of commercial enzyme production in the E.U. At the moment only Aspergillusniger and some Trichodermaspecies have been allowed as source organisms. Enzymes are naturally occurring and in commercial winemaking formulations are added to help speed up their processes. The most commonly recognised enzyme group are the pectinases, the group that is used the most in wine making. Those who make jam will know that it is pectin that causes the preserve to set. Pectinases break down the pectin chains in the early processing stages. The last thing we want is thousands of litres of wine-grape jelly! The main enzymatic activity in commercial enzyme preparations is the breakdown of pectin, hemicellulose, cellulose and glycosides. Most commercial formulations will contain enzymes derived from the pectinase family. Enzyme formulations are designed to have different functions. Some are responsible for aroma release and others are used for colour extraction, clarification, sedimentation and pressing. Pectinases help to breakdown the cellular structures in grapes to release colour, flavour and aroma precursor compounds. ‘Natural’ or minimal intervention winemaking may omit the use of commercial enzymes and the endogenous enzymes present in the grapes slowly facilitate these processes. Avoiding the addition of commercial enzymes results in longer periods of time being needed in order for the lower concentration of endogenous enzymes to achieve a desired result. For example, juice settling may be reduced to 24 hrs using commercial formulations. This process could take several days, or in some cases be incomplete if endogenous enzymes are relied on solely. Due to the low pH environment of the grape must and possible sulphur dioxide additions, it is difficult for endogenous enzymes to function to their full potential, and their beneficial action is limited. Enzyme formulations are used to alleviate this limiting factor by simply increasing the enzyme concentration. There are no specific ‘wine enzymes’. Enzymes are classified into 6 different groups (oxidoreductases, transferases, hydrolases, lysases, isomerases and ligases – the pectinases being from the Lysase group). Enzymes are not specific by design; they have distinct functions that can be found in various bio-chemical processes. In enzyme formulations, there may be a number of different enzymes from the group responsible for the breakdown of pectin. In red wine formulations there will be a higher concentration of pectinase active enzymes that help break down cell structures to release the maximum amount of colour from the skin cells. In a white wine formulation, this active enzyme component will be of a lower ratio. Enzymes are added at various times during a wine making process, such as at the crushing stages to increase juice extraction, to wine to improve filterability before bottling, or to wine in barrel to speed up lees ageing. Enzyme formulations come in a powdered or liquid format that are simply added and homogenised. The main advantage of using commercial enzymes is to speed up the winemaking process. This is of particular importance in stages when the juice or wine is vulnerable to spoilage organisms. The winemaker should find the fastest and safest route through these vulnerable states in order to protect the consumer’s health and to deliver a quality wine. As with any ingredient in a recipe enzyme additions can have negative effects if used incorrectly. When making any addition, the timing, temperature, pH, rate (mass per litre), variety and fruit quality play important roles in the effect it will have. A wine maker relies heavily on the manufacturers’ guidelines and reputation of a product. Improvements to the purity of the enzymes in commercial formulations have been made over the last 40 years, but as a natural product, there will sometimes be variations in each formulation. Enzymes such as anthocyanase and cinnamyl esterase can cause colour loss and organoleptic spoilage and have been found in some commercial enzyme formulations. Because of this, products are created and developed to minimise or eradicate any negative enzyme impurities and possible side activities. These cases are rare as the increasing knowledge of the role enzymes in wine making and technological advances in testing and development mean that more control is available to the manufacturer and the wine maker. It is these developments made in wine science that maintain the integrity of the art. Konig, H. et al (2009) ‘Biology of Microorganisms on Grapes, in Must and in Wine’ Springer Publishing. It was around February of 2011 during yet another sleepless night in London, that I was scrolling through Twitter (as I often found myself doing at 3am). 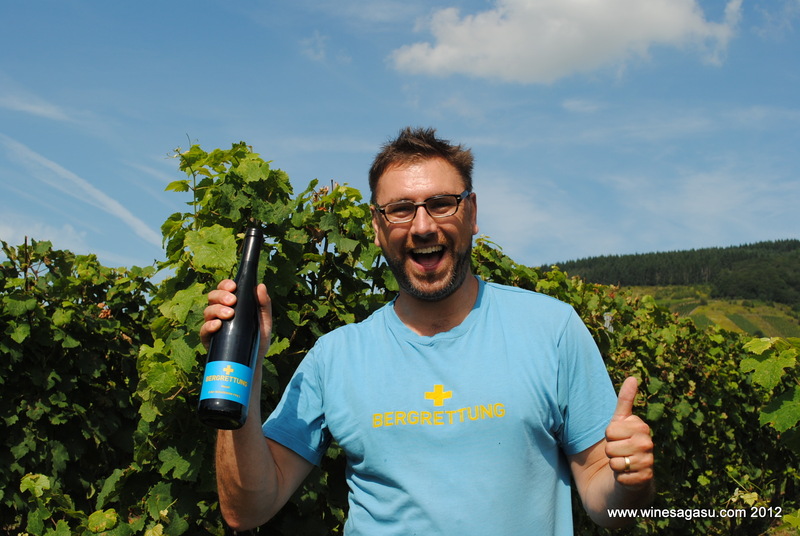 There I saw a tweet from Generation Riesling, an open-minded and constantly growing group of young wine makers in affiliation with the Wines of Germany, who were asking for people from various countries involved in the wine trade to visit German wineries, to meet young, passionate wine makers and then transmit their adventures through various forms of social media. I immediately applied and was soon approached by a winery in Germany’s 4th largest wine region, Württemberg, approximately 42 km North East of Stuttgart. At the time I was working with a New Zealand wine company, Morton Estates, and was in regular contact with our German distributor, Wine in Motion, I sent Florian the details of the German winery that had contacted me and asked him what he thought. He immediately replied, ‘If you are going to come to Germany to see wine country you MUST go to the Mosel, I will introduce you to someone I know there’. 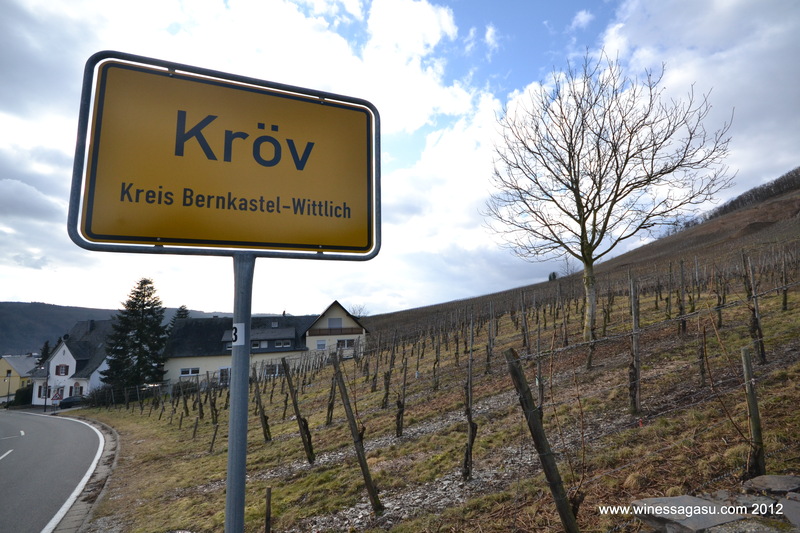 So in March of 2011, at Prowein, Florian introduced to Jan Matthias Klein and within moments of our meeting we began making arrangements for my visit the following October. At that time I was 3 months away from finishing my degree in oenology and viticulture from Plumpton College and looking forward to the possibility of getting a chance to practice my newly learned wine making skills. 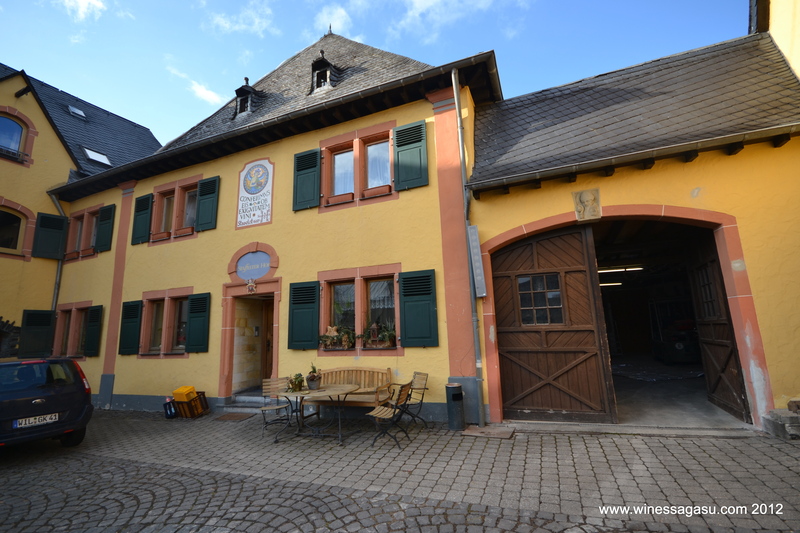 Originally my trip to the Mosel was to be for two weeks and even after working 12 hours a day, 6 days a week in the vineyards and winery I decided to continue my adventures in the Mosel for another 6 months. Staffelter Hof is not just a business selling wine but a living organism, a place where people live and love what they do, care about their land and environment and work with nature to produce something that they are proud of and want to share with others. I leave for Provence in the morning but in my next instalment I will introduce you to the family members that make up Staffelter Hof. 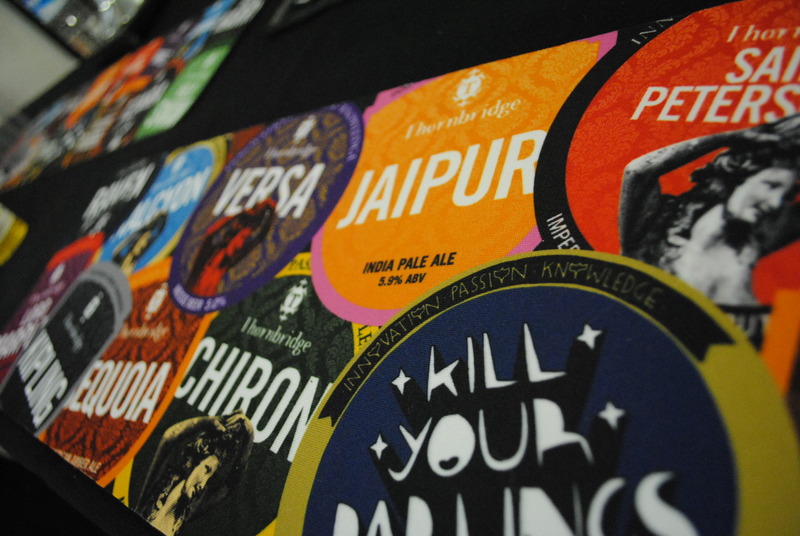 Two-and-a-half years ago I wrote a blog about my visit to Craft Beer Rising, at that time I had been a winemaker travelling around the world creating fermented beverages out of grapes in various different countries. As anyone who has ever done a vintage knows, it can be a very full-on, stressful time. When the grapes are ready decisions must be made quickly and you are at the mercy of the weather; an incredible, powerful frenzied high, then it is all over and life gets back to normal. Get down on your knees and pick. How to make trellising more interesting! A commonly asked question out on the vineyard is ‘why do your grapes grow so low?’. 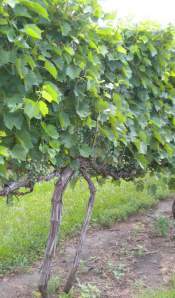 The type of vine training and the positioning of your grapes on the trellis depends on your location. Have I mentioned Nova Scotia is cool? Cool climate, yes. This means that we grow the grapes on the lowest trellising, close to the ground, like stockings hung on a low mantlepiece. It’s warmer down there at night, encouraging the grapes to ripen even when the sun goes down. This also allows a large feathery canopy of leaves for photosynthesis, like a great ostrich bottom turned up to the sun with its cracked, spindly trunk-like neck stuck into the ground. 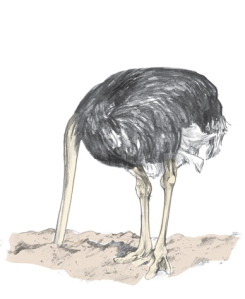 …looking much like an ostrich.